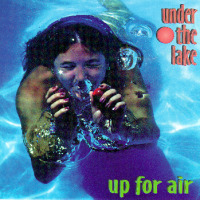 Over the past 20 years Tipp and crew have released three internationally-distributed albums: “Dive In” (1993), “Up For Air” (1996) which received a four star rating from the All Music Guide, and their Top 50 charting release People Together. 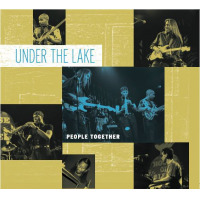 Under The Lake's list of credits include live performances with a who's who list of jazz artists such as Joe Sample, Billy Cobham, Keiko Matsui, Stanley Jordan, and others and appearances at The Maui Music Festival, Newport Beach Jazz Festival and the House of Blues. 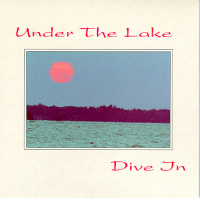 Under The Lake has received critical praise in publications including JazzTimes, Jazziz, France's Jazz Hot, Canada's Exclaim, Germany's Cascade, as well as The New York Daily News, UTNE Reader, and The Music Paper.
. 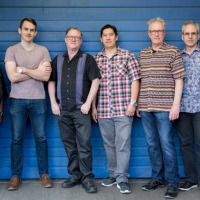 The current line-up recently completed recording the group’s fourth album entitled “Jazz, Groove & Attitude” that includes 11 original funk-jazz tracks. In addition to Tipp, Evans and Moak, the line-up on the recording also includes Brian Foxworth on drums, Kenny Franklin on bass, Evan Mustard on guitar, and Nat Caranto on alto sax. All About Jazz musician pages are maintained by musicians, publicists and trusted members like you. Interested? Tell us why you would like to improve the Under The Lake musician page.